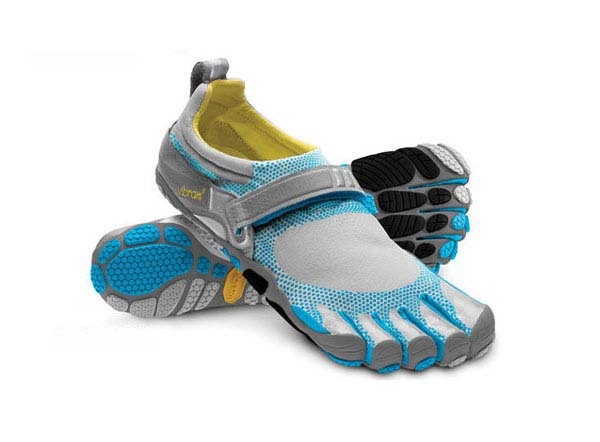 Vibram FiveFingers Bikila is a breakthrough product that encourages a more healthier, natural, and more efficient forefoot strike when running. While many have been running in their Vibram FiveFingers for years, the Bikila is our first model specifically designed for minimalist running. Built on an entirely new platform, the Bikila features a 3mm polyurethane insole (thickest under the ball) and a 4mm anatomical pod outsole design that offers more plating protection, and distributes forefoot impact without compromising important ground feedback essential to a proper forefoot strike running form. A more athletic padded collar and topline, a single hook and loop closure, 3M reflective surfaces, and tear resistant TPU toe protection finish off this breakthrough design. Machine wash at cool tempature and air dry.